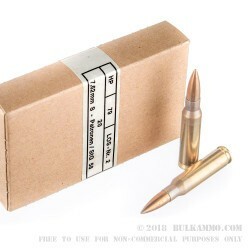 A popular choice for surplus ammo shooters looking for a deal on .308 ammo! 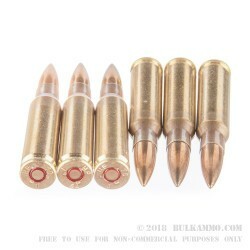 Hirtenberger is known to offer some of the highest quality surplus ammo on the market. 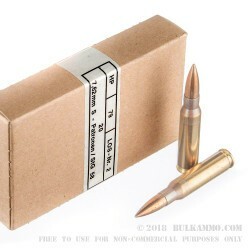 This ammunition was manufactured for military use in Austria and comes packaged in individual boxes with each containing 20 rounds. Hirtenberger's 146 grain .308 offering is loaded hot and is ready to rock. Hirtenberger uses boxer type primers and are non-corrosive which makes reloading spent brass casings a breeze. While 146 grains is a little on the lighter side for .308 riflemen, shooters should see no lack in performance while target shooting within reasonable ranges. The hotter nature of the loading will fatigue shooters faster than most off-the-shelf offerings and should be taken in consideration before heading to the range. Hirtenberger surplus .308 WIN can be purchased in bulk and would make a nice addition to any shooter’s stockpile.